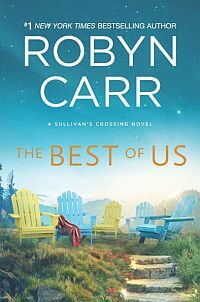 Podcast hosted by Shannon Dominy of Wordsmiths, Robyn Carr talks about her writing process and new series Sullivan’s Crossing. To my Virgin River readers — thank you. From the deepest part of my heart. Virgin RiverTen years ago this month I invited you to come away with me to a little town in the northern California mountains, the town called Virgin River. I hoped you would enjoy the people as much as I did – Jack Sheridan, the owner of the only bar & grill in town; Mel Monroe, the new nurse midwife from the city; Doc Mullins, the old town doctor; Ricky Sudder, Jack’s sixteen year old protégé; Preacher, Jack’s cook and partner and a host of other town folk and visitors. 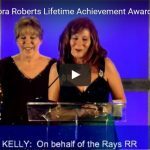 If you missed the Awards Ceremony in San Diego July 16, click on this link to watch Kristan Higgins introduce Robyn and Robyn’s speech as she receives RWA’s 2016 Nora Roberts Lifetime Achievement Award. But grab some tissues first! If you’re in the San Diego area on Wednesday, July 13, come on down to the Marriot Marquis San Diego Marina to meet Robyn and get a signed copy of her latest books. 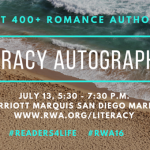 Robyn—and 400+ other authors—will be signing from 5:30 p.m. to 7:30 p.m. at the Romance Writers of America’s National Conference “Readers for Life” event benefiting literacy. Admission is free, and a great time to guaranteed! 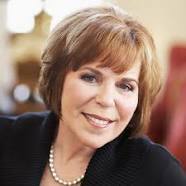 During the Conference, on Saturday evening, July 16, Robyn will be presented RWA’s 2016 Nora Roberts Lifetime Achievement Award at a glitzy gala awards ceremony for those who’ve registered for the RWA Conference. Photos to come! Sharing with you my big surprise at Book Expo America in Chicago—this giant banner promoting my October 2016 book, THE LIFE SHE WANTS. The two lovely ladies with me are key members of my publishing team, Harlequin’s Michelle Renaud, left, and Margaret Marbury, right. Thank you, Harlequin! 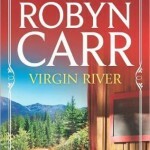 Big news for Robyn Carr! She has been named the recipient of the 2016 RWA Nora Roberts Lifetime Achievement Award in recognition for her significant contributions to the romance genre. 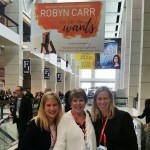 Robyn will receive the award during RWA’s National Conference in San Diego in July!